Cochin Shipyard Bharti 2019 is announced by Cochin Shipyard Limited, Kochi for the posts Senior Project Officers & Project Officers. 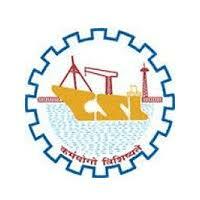 This Cochin Shipyard Recruitment is conducted for a total of 40 Posts. While applying for this Cochin Shipyard Bharti, don’t forget the last date of application form i.e 24th April 2019. Below you will get all the information regarding Application Form Date, Eligibility Criteria, Selection Process, Educational Qualification, Age Limit, etc. regarding Cochin Shipyard Project officer Recruitment. So, please read below post carefully before applying for these vacancies to avoid mistakes in filling an application form. Candidates are required to apply Online through website www.csl.cochinshipyard.com. You need to pay Application fees for Cochin Shipyard Recruitment by using Online Banking/Debit Card or Credit Card, After a successful transaction, you will get Confirmation Message on your given mobile number. This message means your payment is successfully submitted and you’re ready to submit the online application form. After filling up the online applications applicants need to submit their offline applications.